This was good but needed some help. First of all, do cut chicken breasts into pieces & pound thin. In a small bowl, mix together salt, black pepper, cayenne, paprika, 1/4 teaspoon garlic powder, onion powder, thyme and parsley. 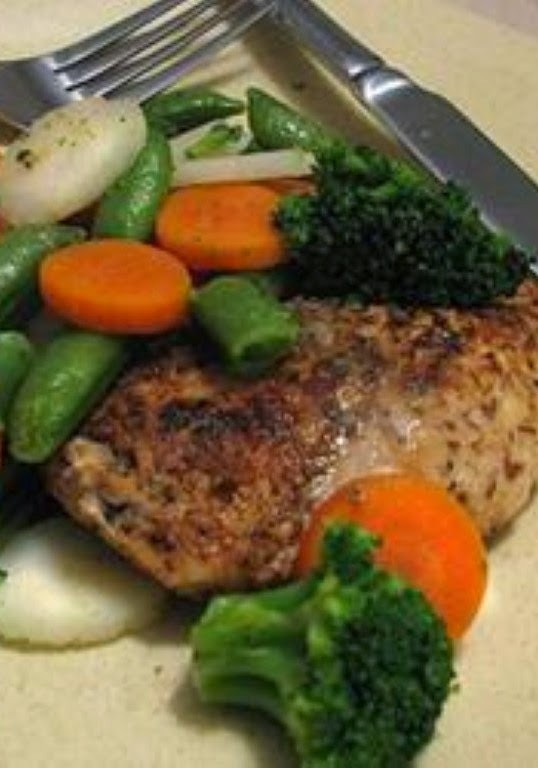 Sprinkle spice mixture generously on both sides of chicken breasts. Heat butter and olive oil in a large heavy skillet over medium heat. Saute chicken until golden brown, about 6 minutes on each side. Sprinkle with 2 teaspoons garlic powder and lime juice. Cook 5 minutes, stirring frequently to coat evenly with sauce.